The novelty of teaching in Prague has worn off for Joanna. She suddenly arrives back in Portland and calls her unsuspecting sister to put her up. Laura tries to persuade Joanna to go back to her former boyfriend Nate, but Joanna meets Malcolm and they begin an unusual living arrangement. "You and Malcolm. He's moving in with you?" Joanna nodded. "Yep. That's right." "Are you sure this is a wise idea? ""He said he'd help me fix the place up...."
Rebecca Kelley grew up in Carson City, Nevada, and teaches writing at Oregon College of Art and Craft in Portland. 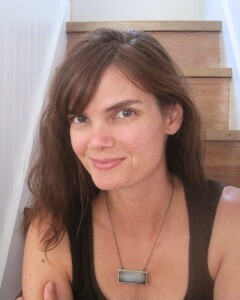 She is the co-author of The Eco-nomical Baby Guide. 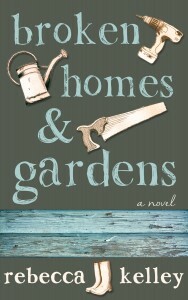 Broken Homes and Gardens is her first novel. For other reviews, visit the tour schedule sponsored by TLC Book Tours, which provided a copy of the book for review. I'm definitely intrigued by this one! While anything geared towards Millennial generation makes me cringe a bit this does sound really interesting. Think I might like it since I love shows like Fixer Upper.